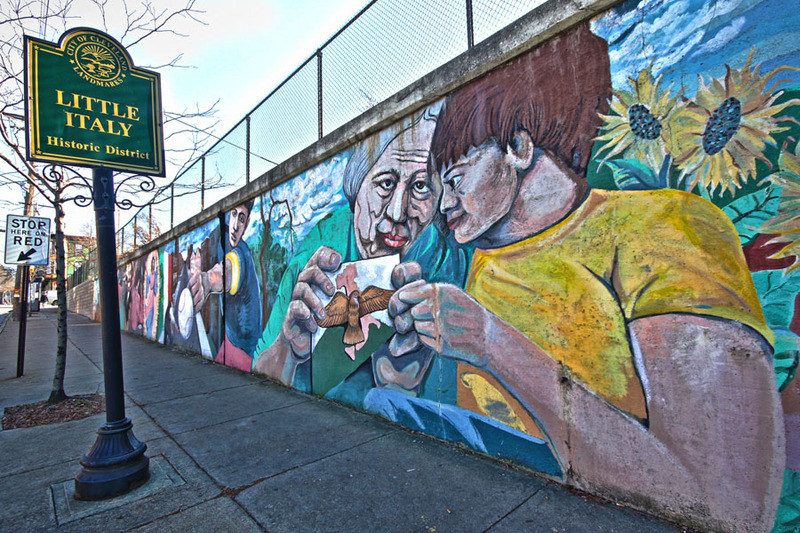 From About.com: “Clevelands Little Italy neighborhood, located on Mayfield Road, just south of Euclid Ave., grew up in the late 19th century, fueled by scores of immigrants that came to the area to work as stone-cutters for nearby Lake View Cemetery and to work in clothing factories. Early residents included Joseph Carabelli, who donated the land for Holy Rosary Church and helped to found Alta House, a charitable organization that still thrives. Today, Clevelanders of Italian descent are located all over the city, but Little Italy retains that “Old World” flavor with restaurants, art galleries, and the popular “Feast of the Assumption” festival each August”. This entry was posted on Saturday, January 12th, 2013 at 9:02 am. You can follow any responses to this entry through the RSS 2.0 feed. You can leave a response, or trackback from your own site.